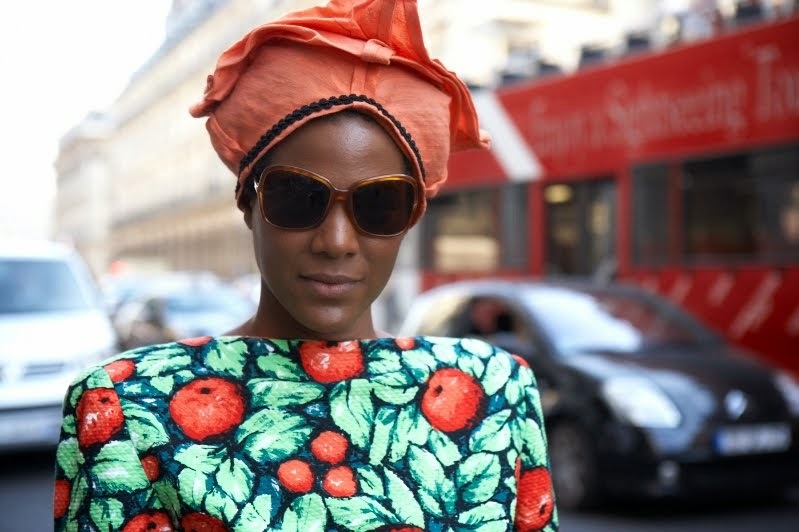 Image: Jamaican painter Barbara von Enger during Paris fashion week. Photo credit: Lena Jürgensen. Lena photographs for most of the German leading fashion/culture/arts magazines. We love the mood and the hat in this divine image of Barbara. She made the hat trendy without even being aware of it. Barbara tells us: "I adore hats, they are an ode to my history, my culture, my mother, and also, they punctuate the silhouette quite nicely, too."